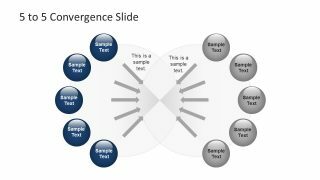 The Convergence Metaphor Slides PowerPoint Templates is an inverse model of process flow diagrams and more like a funnel analysis. It shows multiple arrows converting factors into a single entity. 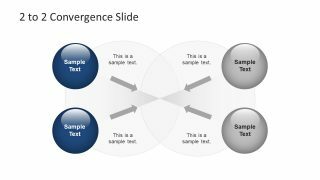 The convergence is when two or more things come together to make something new. Like a reaction of chemical compounds experiment creates a new element. Similarly, the integration of technologies, industries or devices into one. For example, cloud base storage enables users to save data from phone, computer, other devices in one place. 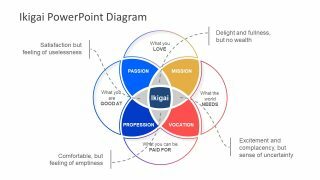 The simple and clean template usable for teaching, scientific research, public speaking, business and more. Especially helpful in driving a conclusion form multiple assumption in presentation. 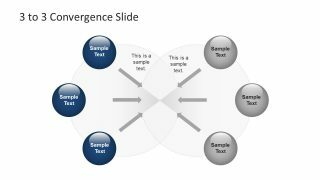 The Convergence Metaphor Slides PowerPoint Templates has four unique design models ready for presentations. These are the circular figures of two main circles making a Venn diagram. Whereas, the smaller round clipart outlining the circles appear as electrons of atom. This PowerPoint displays a concept of physics and chemistry through graphic illustrations. 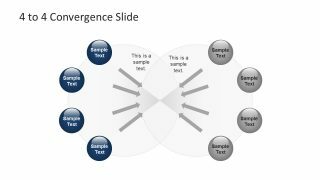 There are four slides of property convergence from two to five compounds in each circle. The arrow shapes pointing towards the intersection shows how diverse elements come together to build a single component. 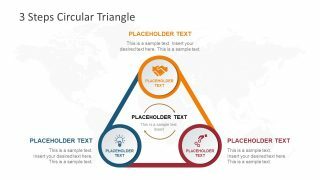 The PowerPoint also has text placeholders against every shape to add titles or captions. 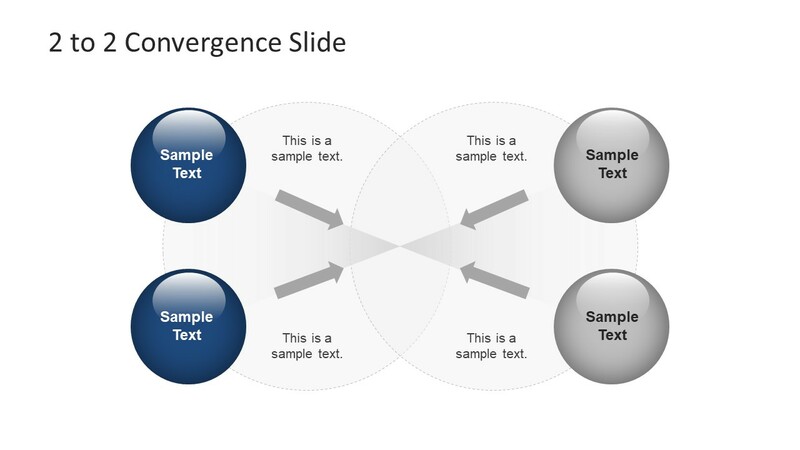 The convergence diagram of PowerPoint is an editable template which lets users customize design properties of slides. 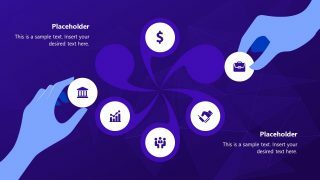 All the PowerPoint objects are editable shapes to modify colors, sizes and other effects within few seconds. For instance, change the circular icons by choosing desire color from drawing format menu. Or, change the entire theme from design variants menu. 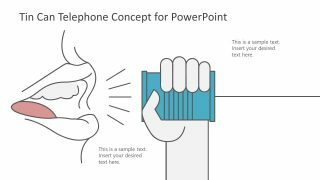 Use necessary slides in other presentations by copying it. Moreover, to add more factors on both sides, simply copy past the round shapes and adjust according to design. The high-quality images can extend to any size without affecting picture resolution.